Last month, we reported the unfortunate news that The Maze Runner: The Death Cure star Dylan O'Brien was seriously injured on the set of this sequel, which caused the production to be temporarily shut down. Earlier this month, the actor's co-star Giancarlo Esposito claimed production would start back up in early May, after the actor recovered from his injuries. But that is no longer the case. 20th Century Fox issued a statement today that production on the sequel has been shut down indefinitely. The studio still hasn't released any official details about the on-set accident, but reports have claimed that the actor suffered a concussion, a facial fracture and several lacerations from a motorcycle stunt that went horribly wrong. It isn't known what has changed about the actor's condition between then and now, and the studio hasn't revealed when production will get started once again. Take a look at the official statement from 20th Century Fox, courtesy of Entertainment Weekly. "The resumption of principal photography on Maze Runner: The Death Cure has been further delayed to allow Dylan O'Brien more time to fully recover from his injuries. We wish Dylan a speedy recovery and look forward to restarting production as soon as possible." The site also reached out to Dylan O'Brien's personal publicist, Jennifer Allen, who said the actor's injuries are "very serious and he needs more time to recover." It isn't known how much shooting is left on Maze Runner 3, or if this delay will affect the previously-announced February 17, 2017 release date. If the studio does keep that date, The Death Cure will be facing plenty of high-profile competition. Also slated for release on that date is Sony's long-awaited adaptation of The Dark Tower, Warner Bros.' comedy Fist Fight starring Ice Cube and Charlie Day and Universal's The Great Wall starring Matt Damon. The Maze Runner: The Death Cure is the final installment in the trilogy based on James Dashner's beloved young adult novels. The cast also includes Thomas Brodie-Sangster, Rosa Salazar, Ki Hong Lee, Dexter Darden and Kaya Scodelario. 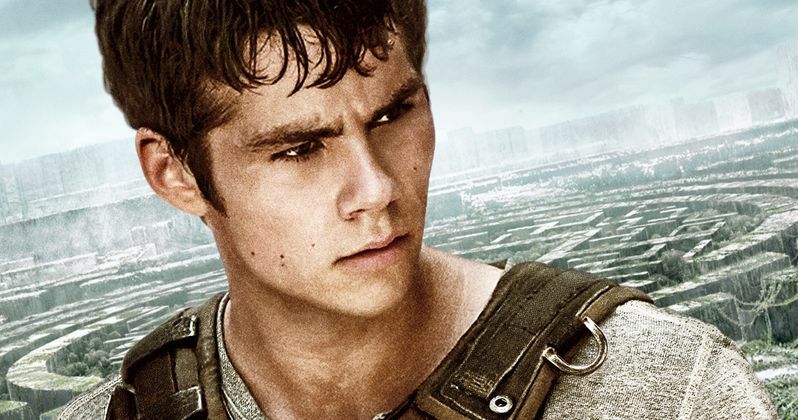 The Maze Runner and The Maze Runner: Scorch Trials director Wes Ball returns to direct the final installment of this trilogy, working from a script by T.S. Nowlin. We'll be sure to keep you posted with any updates on Dylan O'Brien's condition as soon as we have more information.